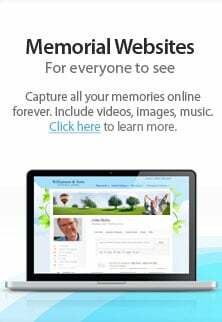 If you are considering making funeral arrangements, and you have experienced the passing of a loved one, then you are going to find this website very helpful as it will serve as a resource for taking the proper steps in creating a compassionate and dignified memorial and burial service for your loved one. We are a family business with 2 funeral homes based in Fremont California and serve the residents of San Leandro CA as well as those in the surrounding communities. Fremont Memorial Chapel is a company that is very compassionate and prides itself with providing ideal, professional funeral services to the residents of San Leandro CA and surrounding areas. If you are looking for a professional funeral service then do not hesitate to contact our funeral directors in any of our two locations for further assistance. In addition to emergency funeral services, we also help those who want arrange and pay for everything upfront. We make funeral pre-payment available for those who wish to have some peace of mind in their most difficult time so that they can have a dignified funeral for their loved one knowing the complete funeral was pre arranged and paid for. When everything is done in advance, it makes passing of a loved one less stressful. A huge advantage of paying in advance over life insurance or a service account is that you can pay now, at the current price regardless when the services will be needed and we can assure you that the costs for the funeral will be pre-paid. Ideally, you get to have the peace of mind knowing that the money you have paid is safe and will be kept in a funeral fund until the services are required. If you want the best funeral services in San Leandro California and its surrounding areas, then do not hesitate to contact us. We are always available and willing to answer any questions you may have. Please get in touch with us today!